William and Lachlan McBean, who were both active in Demerara, were sons of Ludovic McBean Esq of Tomatin in the parish of Moy (Inverness-shire). Lachlan died in Surinam (Dutch Guiana) on 22 September 1820 [The Aberdeen Journal December 6, 1820; Issue 3804]. Of their brothers, Duncan was a merchant in Glasgow, Aeneas died in 1810 on the island of St Thomas, and Robert was in Tortola. William was a member of the firm McInroy, Sandbach, McBean & Co from 1803 until about 1808 but subsequently traded as part of Kingston & McBean, along with Robert Kingston [1782‑1815]. [Parker Family Papers, Liverpool Record Office; E&DRG 2 Sep 1811] William's brother Duncan, through his wife Elizabeth Moore, was brother-in-law to James McInroy and Robert Semple. In 1814 Rev Harry Robertson in Kiltearn wrote, 'My dear boy Hugh arrived here last evening in company of Mr Wm McBean'. [NLS MS 19331 f53 Rev Harry Robertson to Dr Traill, from Kiltearn, 25 Nov 1814] William had written his will in Demerara in 1812, probably before he left the colony [CC11/1/9 Will of William MacBean, Tomatin, 1823]. In this he bequeathed an enslaved woman called Cornelia and her children to his brother Lachlan, who was also in Demerara, to be held by him on order to provide for his son Duncan, whose mother was a 'free coloured' woman Elizabeth Game. His executors were his brothers Duncan and Lachlan, Samuel Sandbach, and Robert Kingston. 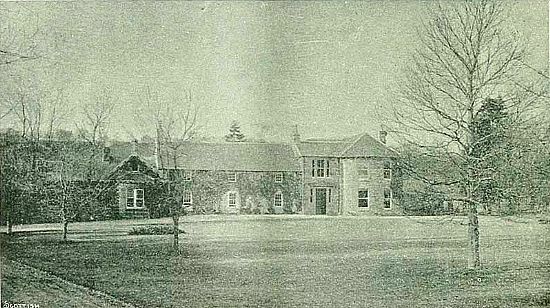 William probably remained in Scotland, living at Tomatin until his death in 1822, after which he was succeeded by his brother Duncan. William's son, Duncan, may have been the Duncan McBean who received compensation on the emancipation of seven enslaved people in 1834 [Legacies of British Slave Ownership]. Elizabeth Game received compensation of £450 10s for 10 enslaved people [Legacies of British Slave Ownership] and is also referred to as the employer of three enslaved persons who purchased their full emancipation in 1837 during the period of apprenticeship [Parliamentary Papers]. SC70/1/4/339, 11 Sep 1811 Will of Aeneas McBean. Anthony Cooke, ‘An Elite revisited: Glasgow West India Merchants, 1783–1877’ in Journal of Scottish Historical Studies 2012–13 32:2, 127–165.